LAUSANNE (SUI) - WBSC officials have formally approved to recognise and sanction the 2013 Baseball Challenge between Japan and Chinese Taipei, which will be hosted by the Chinese Taipei Baseball Association and played in Xinzhuang and Tianmu Stadiums in the capital. WBSC's decision follows the International Baseball Federation's past direction of overseeing and supporting national team competitions outside the traditional tournament format used for world championships. The "Samurai Japan" and Chinese Taipei are the 1st and 2nd ranked national teams in Asia, while they rank 3rd and 4th in the world, respectively. The international 'Challenge' will consist of three matches over three days, from 8-10 November, with each contest to be broadcast live during prime time hours in Japan, on TV Asahi and TBS, and nationally in Chinese Taipei. While further reinforcing the bat-and-ball sport's stronghold in the region and generating fan interest following the conclusion of many league championships, the Baseball Challenge also looks to serve as an assessment and development tool for Japan and Chinese Taipei in preparation for the 2014 Asian Games that will be celebrated in Incheon, South Korea next September. Both Chinese Taipei and Japan medalled behind winner Korea at the 2010 Asiad. 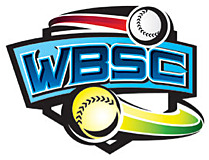 WBSC officials have noted a significant increase of head-to-head contests outside of world championships, not only as part of the standard preparation regimen for multi-sport events and world championships, but also in the face of growing demands from athletes, national federations, broadcasters, fans and commercial partners. "We are seeing competitions, like the 2013 Baseball Challenge, continue to grow in terms of their reach, fan interest and market value. We expect this trend to continue as international baseball and softball competitions become an increasingly attractive product, as world sport moves in this direction and as the athletes and fans deepen their identification with national teams," said Riccardo Fraccari, WBSC Co-President. "To ensure we are best positioned for this evolution and to further drive growth, we have already announced the introduction of another flagship event, the Premiere 12, which will be launched in Japan in 2015 and bring together twelve of the top national baseball teams in the world," Fraccari underlined.